By Douglas J. Guth from Greenhouse Management Magazine. I have been to Dow Gardens twice now in my lifetime but those visits have been in the last 7 years. Before that, I had lived in Michigan for 40 years without visiting….and frankly did not know about Dow Gardens. In my opinion, Dow Gardens is highly underrated. No, it is not The Chicago Botanical Gardens or Longwood Gardens, but it is definitely worth the trip to visit every few years if not more. Dow Gardens was started in 1899 by Herbert Dow, founder of The Dow Chemical Company. The Gardens, originally developed on eight acres of flat, sandy land, provided a creative outlet for Herbert Dow and his interest in agriculture and design. He created gardens, ponds and hills according to a simple philosophy that we still follow to this day: “never reveal the gardens’ whole beauty at first glance.” Alden B. Dow, Herbert’s youngest son and an experienced architect, continued his father’s work on the Gardens. The family connection continued with the involvement of Herbert Dow’s grandson, Herbert Dow II. Thanks to the dedicated guidance of the Dow family, the Gardens have grown to 110 acres. Today, the creativity of Herbert Dow is still revealed to all those who visit Dow Gardens. Back in 2015, I served on the Michigan Nursery and Landscape Association (MNLA) as the SEMNLA representative. Chuck Martin, Dow Gardens Senior Horticulturist, was telling us about this vision to create a canopy walk at Whiting Forest. I had not heard of canopy walkways nor The Whiting Forest at Dow Gardens but was very interested. I was really excited when I heard that this canopy walk would be the longest in the nation at 1,400 feet. A $20 million, four-year effort, creation of the Canopy Walk and other features is the Foundation’s largest project ever. Other features include two pedestrian bridges, an expansive Playground, Café, Outdoor Amphitheater, Forest Classroom, and orchards re-established where Herbert H. Dow, founder of The Dow Chemical Company, tended his own more than 100 years ago. Middle row: Andrews Van Harken and Ryan Youngblood from Ryan Youngblood & Co. in Rochester; APLD-MI member Anna Brooks and son, Nathan; APLD-MI member Corinne Tucker all from Arcadia Gardens in Stevensville; Bob and Diane Drost from Drost Landscape in Petoskey; and, Rob Bakhuyzen from Bakhuyzen Landscape in Grand Rapids. Front row: Filipe Reyes from Ryan Youngblood & Co.; Dawn Endres from Lowrie’s Landscape in Clarkston; and, Kurt Schaus from Ryan Youngblood & Co.
On Friday, October 12, 2018, APLD-MI members invited other designers, landscape architects and horticulturist to join us in the one-week old (official opening was October 7, 2018) attraction. We were lucky enough to get Chad Gluch, Whiting Forest Orchard Specialist, to guide us around the canopy walk, forest trails and the children’s playground. Chad is a graduate of Michigan State University and holds degrees in both Orchard Management and Wildlife Management. He began his Dow Gardens career in 1999 and spent 8 years helping to develop Whiting Forest, making it available to the public. His career includes a variety of leadership roles including owner of a Critter Control franchise. Chad’s goal is to produce an educational and relaxing orchard environment that everybody will enjoy as much as he does. At a quarter-mile the nation’s longest, it reaches up four stories into the red pines and other trees. There, cargo nets beg young and old to dive in, wooden pods beckon all to duck inside, panoramic pond overlooks suggest that one pause for reflection, and transparent floors and other thrills await. Three elevated walkway arms extend into the woods: The Spruce Arm bears the tree-supported cargo net, the Pond Arm a tranquil overlook, and the Orchard Arm a glass overlook 40 feet above the ground. In the green industry it is extremely difficult to get away and do events like this, especially in this booming economy. But, after a long and hard season it is good to slow down and enjoy nature. I heard so many comments on how the attendees enjoyed getting away and spending time with other people in the industry. I even heard of one member omitting to lying to her employees just to get away. Events like this is the NUMBER ONE reason why I became a member of the APLD back 30 years ago! If you didn’t get a chance to join us, take a break next time and come play with us. Also, PLEASE provide suggestions on where you want to go and who you want to hear. On Tuesday, September 11, 2018, the leaders of the Grosse Pointe area’s garden club communities, will hold the annual “Garden Party”. The Garden Party raises funds for various projects that specifically benefit the Anna Scripps Whitcomb Conservatory. Held in a beautiful tent on the grounds of the Conservatory, the evening features cocktails, hors d’oeurves, musical entertainment by Ben Sharkey, an art installation, and networking with supporters of the botanical wonders the Conservatory houses. Funds raised at the Garden Party will renovate the staircase and flagstone path at the back entrance to the Conservatory sunken gardens. This path will once again allow public access to this area and serve as a link between the Conservatory grounds and the future Piet Oudolf garden. Please visit https://www.belleisleconservancy.org/garden-party-on-belle-isle?mc_cid=1977db3588&mc_eid=76fa1cc9a3&utm_campaign=1977db3588-EMAIL_CAMPAIGN_2018_02_19_COPY_01&utm_medium=email&utm_source=Oudolf%2BGarden%2BDetroit%2BMaster%2BList&utm_term=0_f8760b3cb2-1977db3588-28106435 for more information and to purchase tickets. Join fellow garden lovers in a relaxed day touring one of West Michigan’s largest farmer’s markets, three outstanding private gardens, and ending with a photo op in the extensive perennial display gardens at Walters Gardens. Whether you’re into organic produce, rock gardening, specimen trees, plant collecting, or garden photography, there’s something for you on this tour. All stops are conveniently located within just a few square miles near the shore of Lake Michigan. Make it a weekend trip and enjoy the area’s white sand beaches, the famous Big Red lighthouse, and unique downtown boutiques while you’re in town. 10:00AM-12:15PM We’ll explore the Holland Farmer’s Market, an expansive venue that draws thousands each weekend. Led by Market Master Sara Cozolino, we’ll meet with four local area farmers about how they grow/produce and bring their foods and plants to market. Bring your cooler and pick up organic veggies, fruits, meats and plants while you’re there. Lunch will be on your own at the market; choose from vendors or food trucks. A brief business meeting will be held after lunch. 12:30PM-1:45PM We have the rare opportunity to tour the private home garden of succulent and perennial breeder and grower Chris Hansen. You may know Chris’ lines of SunSparkler® Sedum, Chick Charms® Sempervivum, Gnome Domes® Orostachys, and Winter Thriller™ Helleborus. See them all in action in his botanical garden-grade home rock garden which encompasses every square inch of his suburban landscape. You’ve never seen a home rock garden like this! 2:00PM-3:00PM We’ll also have the rare opportunity to tour the private garden of world-renowned plant breeder and collector Hans Hansen (no relation to Chris). As the principle breeder of perennials and tropical plants for Walters Gardens and the Proven Winners brand, Hans is a wealth of knowledge and his garden reflects it. He will lead us through his no-grass, all-ornamental suburban garden and highlight his favorite unique plants which number in the thousands. This garden is a plant geek’s paradise. 3:15PM-4:15PM Tour the private garden of professional landscape designer Cami Geschwendt. Recently featured in Michigan Gardening magazine, the Geschwendt family garden is a spectacle like none other. Features include numerous unique specimen trees, masses of landscape roses, one of a kind metal sculptures made by Cami’s son, a 4-season tree house, a pontoon boat-turned tiny house, and much more. 4:30PM-Dusk We’ll have the chance to explore and photograph perennials in the expansive display gardens at Walters Gardens, Inc. This garden features over 1,000 varieties of perennials, including all Proven Winners Perennials, which are labeled clearly to make it easy to ID what you are photographing. This garden will be open to GWA attendees through dusk to allow ample time for photography when the lighting is at its best. You are encouraged to tweet and post your pictures to social media while in the gardens. Dinner will be on your own at your leisure. A list of local area restaurants will be provided to attendees. A list of recommended hotels will be provided upon request. If you do plan to stay overnight, I encourage you to book your room now as this event is taking place during high season in a popular vacation town. John DeVore is a lifelong student of all things natural. He is president of DeVore’s Land and Water Gardens, established 1979, and has used his business as an excuse to pursue design, horticulture, water aesthetics, stone construction, and travel. He is an active participant in the Association of Professional Landscape Designers, The Stone Foundation, the International Professional Pond Companies Association, and the North American Japanese Garden Society. He was also the founding US partner of Garden Design School from the UK, and has trained designers and professionals in design, aesthetic boulder and stone construction, and water feature construction. His interests always run towards aesthetics and experience. Experiencing the wonders of nature fuels the creative impulse, and working with his hands has allowed him to grow as garden artist, enabling him to bring some of that wonder into people’s lives. John held this same class at the APLD International Conference in Cleveland in 2011 and it was very well received. Please visit https://mnlateam.wufoo.com/forms/the-art-of-stone-craft-workshop/ to sign up for the class. APLD Members receive an additional $50.00 off the MNLA membership fee. MNLA’s Annual Landscape Design Tour in partnership with Association of Professional Landscape Designers Michigan Chapter and Michigan State University as always been very educational and exciting. We have seen the sustainable landscape at the Kresge Foundation in southeast Michigan, the break taking landscapes of Drost Landscape in northern Michigan, Muhammad Ali’s house in Southwest Michigan, the picturesque facilities of Blue Thumb in the Bay Area, and we crossed into international borders (Canada) in 2013. This year’s event takes us farther and adds even more excitement as we visit Philadelphia and the east coast. 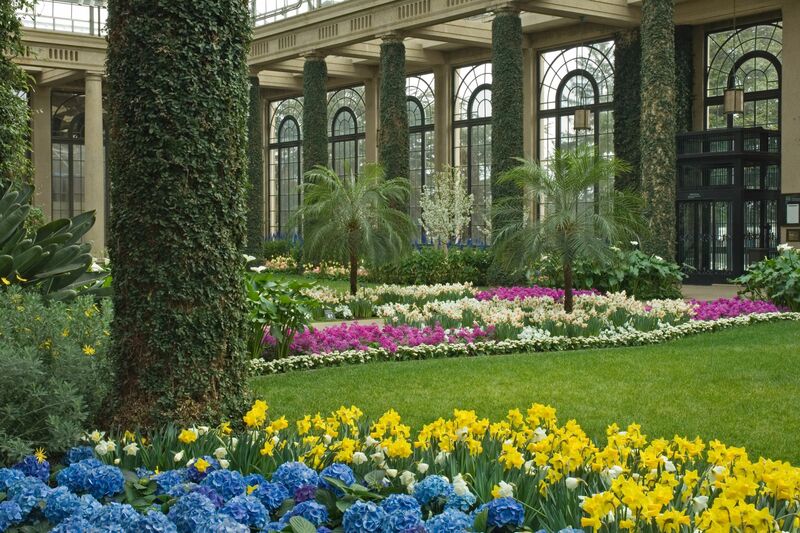 Philadelphia is America’s Garden Capital, with over 300 years of horticultural heritage. Join us on a trip like never before. 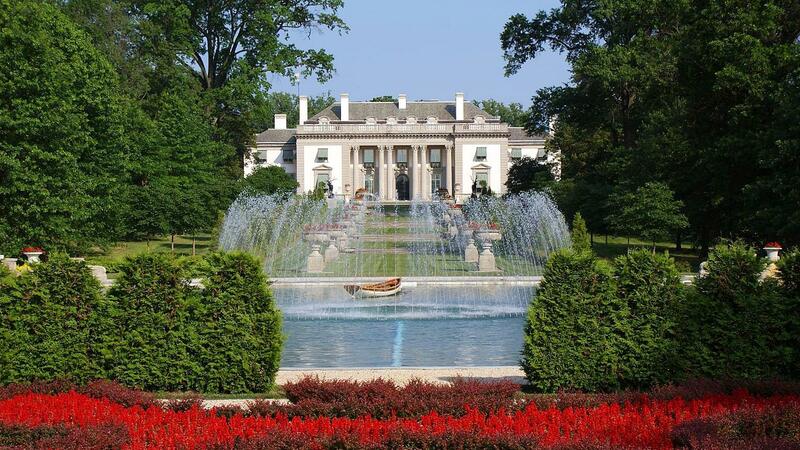 Experience exclusive access to both famed public gardens and private estates, special receptions, and insights from prominent industry figures. Register NOW at mnla.org.